Prior to being selected by the Blue Jays as the 22nd overall pick back in the 2012 draft, Marcus Stroman was drawing attention as an amateur prospect primarily for two reasons: a mid-90’s four-seam fastball and an upper 80’s slider, the combination of which guided him to an impressive 136 strikeouts over 98 innings in his Junior year at Duke University. The road to his professional career began just four years ago next week, and yet the Marcus Stroman of present couldn’t be less reflective of his scouting report of old. 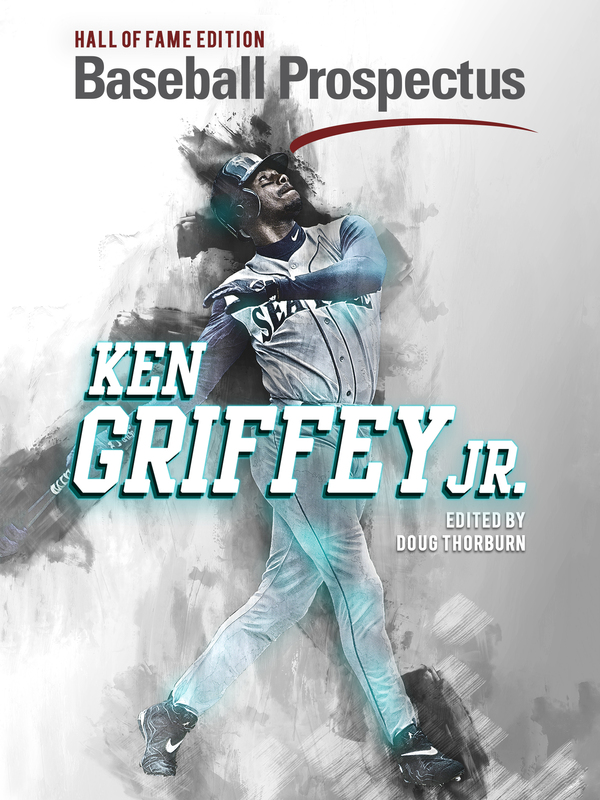 His transition from a four seam fastball to a sinking fastball, as well as the evolution of the sinker itself, has been well documented and meticulously cataloged. What has drawn far less attention is the redevelopment of his breaking ball. Stroman has shifted away from the upper 80’s slider for one with a more tempered velocity – likely to maintain the same six-to-eight mile per hour gap from his fastball (previously the mid-90’s four seamer, now the low-90’s sinker) – while also expanding his repertoire to include the slider’s cousin, a curveball. Stroman made 20 starts during his rookie 2014 season, and blew the online baseball community away with the impressive allotment of pitches he’d developed and refined over his 178.1 innings in the minor leagues. Using the “Pitch Comp Methodology” devised by Jeff Sullivan of FanGraphs, I compared the average velocity, horizontal movement, and vertical movement variables for each of Stroman’s six pitches to the other right handed starting pitchers in 2014, in hopes of identifying the most similar pitches among his closest kin. With a comp score of 0.23, the strongest relationship was found between Stroman’s slurvy curveball and “The Defector” thrown by the Marlins’ Jose Fernandez, which as I noted at the time, was strongly supported by the eye test. Fernandez throws his curveball extremely hard, and thanks in large part to his low 3/4 arm slot, the breaking ball has a ton of sweeping horizontal movement. In fact, as Table 1 below shows, by both velocity and horizontal movement, Jose Fernandez’s curveball has been at or near the top of its class throughout his entire major league career. Needless to say, it was a fantastic offering to which Stroman could receive a complementary comparison. Leading up to the 2015 season, the potential in Stroman’s dynamic arsenal was lauded on the internet, television, radio, and even around the water cooler for five long, wintry months; everyone was ready to see just what he could do with a full slate of innings at his disposal. With the Stroman hype train in full effect, it wasn’t just Blue Jays fans who were devastated when the right hander went down with a torn ACL last spring. Despite receiving a season-ending diagnosis from the training staff, post-surgery Stroman began his long rehabilitation process with the singular mindset of returning in September. At Duke University he worked with a team of physical therapists on the leading edge of kinesiology, who developed a personalized program for Stroman. As Ben Lindbergh wrote at Grantland, the goal was designing and maintaining a system that wouldn’t push too hard as to prevent setbacks, but also to stress the right hander’s body enough in order to drive the necessary physical improvements. The enthusiastic Stroman did make it back for September, and in typical Marcus Stroman fashion, he’d taken advantage of his time away from the professional field to make further augmentations to his repertoire. To add to the point above and as a brief aside, Marcus Stroman’s breaking balls run contrary to conventional thought. Most envision a slider as the Frisbee-like offering that’s somewhat flat and burns away from batters on the horizontal plane, whereas when they think of a curveball, they picture a knee-buckling bender similar to what Aaron Sanchez features. 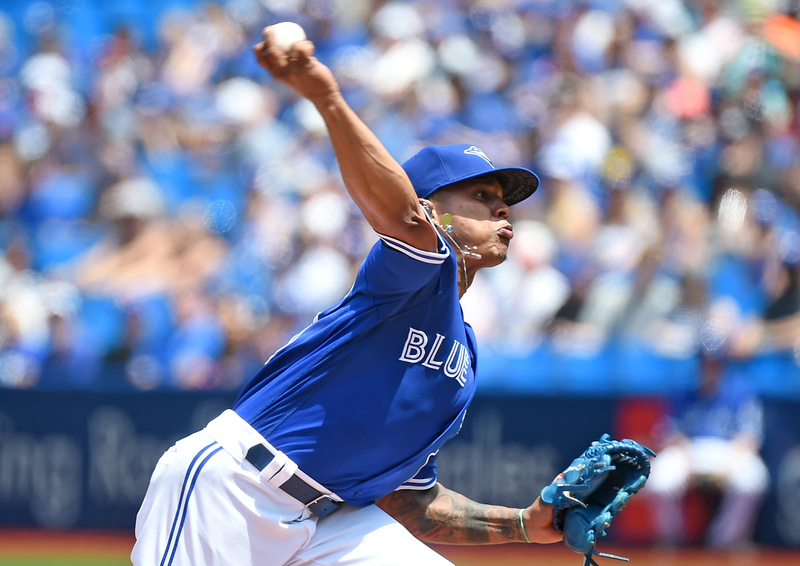 Stroman’s pair of breaking balls behaves somewhat backwards; his slider carries more of the vertical depth element, and the curveball possesses the slice. Using the formula above, the distance between point “p” (the curveball) and point “q” (the slider) can be determined by inserting the average velocities into p1 and q1, the horizontal movements into p2 and q2, and the vertical movements into p3 and q3. Table 2 below shows the three physiological variables for Stroman’s curveball and slider, and the Euclidean distance between the two in 2014, 2015, and 2016 (up to and including his May 22nd start). Note that as we’re using different kinds of measurements (movement in inches, and velocity in miles per hour), the Euclidean distance is unit-less. The two are unquestionably behaving more and more similarly as Stroman’s career progresses. 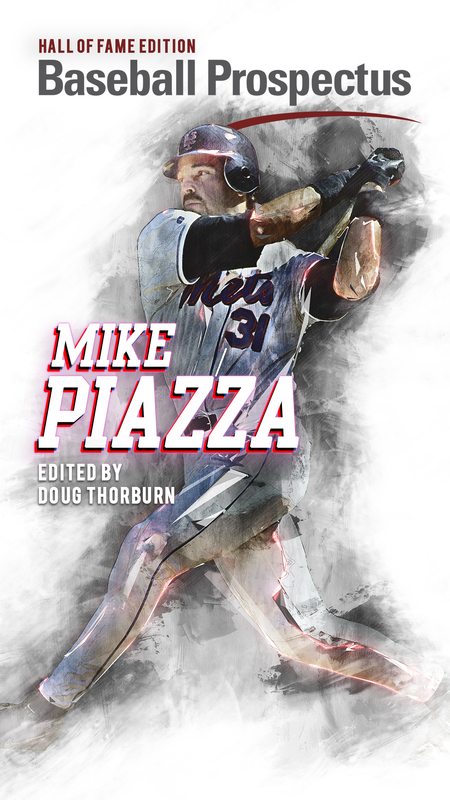 All pitches are on a continuum, and the level of distinction between offerings – whether you’re analyzing fastballs or breaking balls – can vary greatly from pitcher to pitcher. Given that Stroman’s slider and curveball appear to be converging (at least statistically), I was curious about the different levels of separation for other pitchers who throw both breaking balls. Using the most recent full season data (2015), 65 starting pitchers threw at least 100 sliders and 100 curveballs. According to Brooks Baseball, when including the playoffs Stroman threw 94 and 93, respectively; sufficiently in-line with the threshold for the rest of the group to bring the total to 66. There’s an intertwining of tremendous and terrible pitchers at the both ends of the spectrum. Johnny Cueto (5.116), Mike Leake (5.169), and Scott Kazmir (5.453) had the three smallest distances between their curveball and slider in 2015, and all three pitched well enough last season to received a combined 258 million in guaranteed money as free agents over the offseason. The largest distances between the curveball and slider belonged to Clayton Kershaw (19.893), Chris Bassitt (17.339), and Zack Greinke (15.979). Kershaw and Greinke both finished in the top three in 2015 NL Cy Young voting, while Bassitt had the second best “Stuff” in baseball among starting pitchers according to our own Mike Sonne’s calculations. Ranking with the ninth smallest Euclidean distance between breaking balls in 2015 was Marcus Stroman (6.679), which reinforces a preconceived notion I have that more so than his compatriots, his two breaking balls are more or less the same general pitch thrown in slightly altered ways. The figure below, via Texas Leaguers, shows the horizontal and vertical movement of each pitch thrown by Stroman in 2015, with the different pitch types receiving specific colors and shapes. Curveballs appear as blue diamonds, and sliders as green diamonds. Both breaking balls are in the same vicinity of the diagram and there is a bit of overlap, but the two pitch types are predominantly separated into the two clusters you’d expect given what we already know; the curveballs with the greater horizontal movement, and the sliders with the greater vertical movement. How does this compare to some of the pitchers noted above who fall even more to the extremes, in terms of similarities and discrepancies? The pitchers who were determined to have the most similar breaking balls were Cueto and Leake, but they’re not great fits for comparisons for a couple of reasons. Where Brooks Baseball identified Cueto’s breaking ball distribution as 74 percent sliders and 26 percent curveballs, Texas Leaguers measured 97 percent sliders and just 3 percent curveballs. Furthermore, the pitch plot of Cueto’s entire eight pitch repertoire appears as one giant blob of colored markers, making it impossible to make any visual comparisons. Leake, meanwhile, isn’t a fit for comparison because he throws a knuckle curveball. Unless the Cardinals right hander is driving his knuckle or fingernail into his slider as he delivers it, they’re clearly not that similar regardless of any similarities with velocity and/or movement. The left and right halves of the figure above have the 2015 movement plots for Scott Kazmir and Clayton Kershaw, respectively. In the same vein as Stroman, Kazmir had the third shortest Euclidean distance between his curveball and slider. Kershaw had the largest gap, and the methodology is backed up visually. With Kazmir, you can actually see three distinct clusters of breaking balls — the sliders with vertical movement above 0 near the cutters, the curveballs with the vertical movement below 0 in isolation, and then a third, inter-mixed group of sliders with added depth and firmer curveballs. Kershaw, meanwhile, has almost no overlap whatsoever between his cutter-ish slider and big 12-6 bender. Both breaking balls have similar levels of horizontal run due to his over-the-top delivery, but the curveballs is thrown fourteen miles per hour slower, and has an absurd thirteen and a half inches more vertical drop. Originally airing on a Sportsnet broadcast, the above graphic shows Marcus Stroman’s two breaking ball grips, side by side. On first glance they have a lot in common: the ball is gripped between his index and middle fingers and his thumb. It’s possible the index finger is slightly more bent and exerting more pressure on the ball with the curveball grip, but the biggest difference between the two is the relationship between his fingers and the seams. With the slider, both fingers run perpendicular to the seams, whereas the middle finger runs along the seam on the curveball. It’s not analogous, but it reminds me of the minor difference between four-seam and two-seam fastball grips, and could at least partially explain why the curveball is generating more run. Unfortunately we can’t measure the subtle differences in the kinetics of his arm action, but the grips are very similar, the release points are nearly identical, and accordingly, the pitches have behaved similarly. The question that remains is whether or not this is a good thing. There are good and bad pitchers distributed evenly throughout the Euclidean distance scale, and baseball-wide there is next to zero correlation between the level of separation between breaking balls and their whiff rate and groundball rates. Most likely, the optimal usage is specific to the individual pitcher. Under Mike Sonne’s “Stuff” model, Stroman scores roughly league average, which runs contrary to everything we thought we learned about his arsenal leading up to the 2015 season. The probable reason behind these conflicting viewpoints is that one looks at the sum of the parts, while the other examines each piece individually. Marcus Stroman has five very good pitches, but he’s penalized by “Stuff” because there just isn’t enough separation and diversification. As he moved from the four seam fastball to the sinker, not only did he shorten his velocity band, but he eliminated a lot of the vertical element of his repertoire. Among the Blue Jays four “traditional” starters, he has the second lowest velocity gap and the least break distance between his fastball and breaking balls. Stroman has obviously made it work and the right hander has been unquestionably productive since his return from the torn ACL, but it’s fair to wonder if the evaporation of whiffs and strikeouts is just as much the result of a homogenization of his off-speed and breaking balls as it is his transition to the sinker. When everything is in the lower half of the zone and thrown within a 12 mile per hour velocity band, it doesn’t matter how good each individual pitch is; the batters can undeservedly find some level of comfort. The sinker is a phenomenal pitch and he should continue to mainline it, but it feels like gains could be made by untying the curveball and slider from one another. In a fantastic interview with Eno Sarris of Fangraphs, Stroman even acknowledged he needs to use his four seam fastball more and to make sure he keeps his off-speed and breaking balls separate from one another. Still just 25 years old, as he continues to master his craft, the growth, development, maintenance, and refinement of his repertoire should be something to behold.